It is no secret that I love adventure. Being a true wanderlust I feel that it is interred in my bones. I love a great mystery and I adore learning about the past. History is a passion of mine and I find it very enthralling. To stand in a spot once known to have been occupied by someone famous--ahhh excitement! called History Hero. 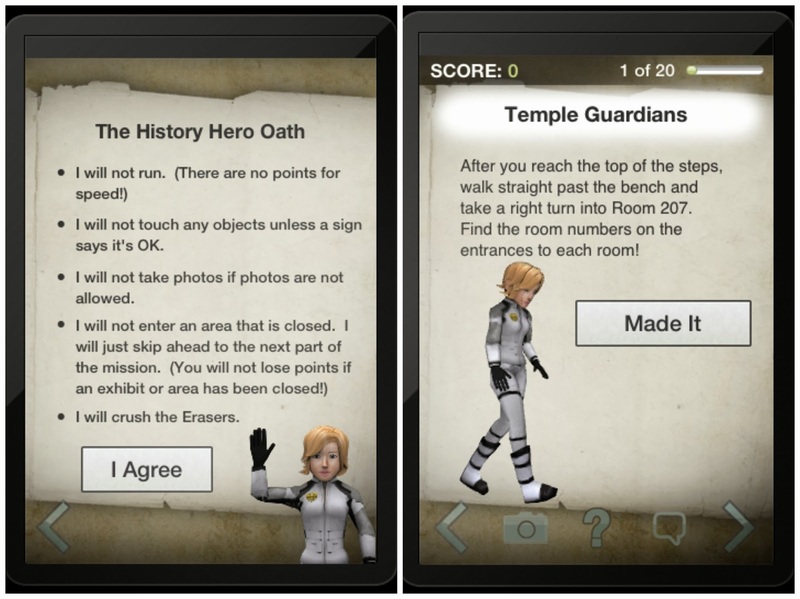 History Hero makes sightseeing and history FUN for children and parents alike. 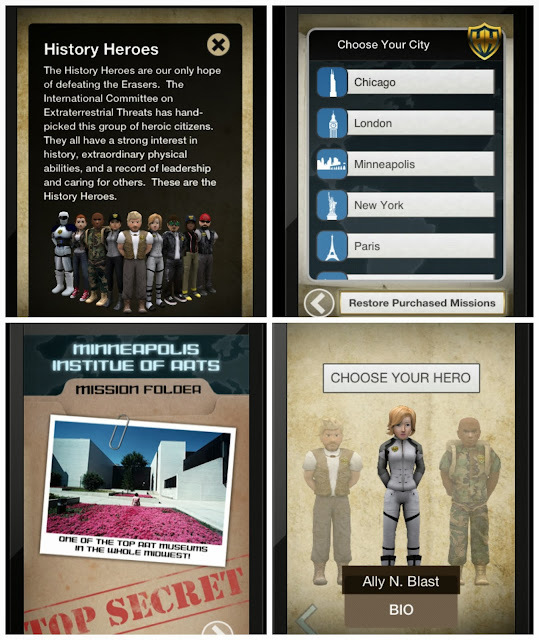 History Hero is the first app to use an interactive video game to teach history to children and teenagers as they tour some of the world’s top historical treasures. History Hero missions are designed for three age groups – ages 4- 7 (with an adult), 8-12 and teenage/adult. •Winning the coveted History Hero Medal of Honor. Since I do not live in any of those major cities and I would have been limited by what I could do within the app (I can't wait to make it back to Chicago so I can use this app to its fullest), I asked my friend Jen Life with Levi to check it out for me and let me know her thoughts. Jen lives in Minneapolis and she was pretty excited when I told her about the app. Her son is only 3 so he is a little young to be totally involved with the app but she said that she thought it would be a fun date night activity too (I couldn't agree more). Jen had this to say about History Hero: "It's a cool way to make a visit to the art museum more interesting. The Minneapolis Art Institute was the only location available for Minnesota. I've been there plenty of times on my own and for college classes, so I know the galleries pretty well. The app made it into a little adventure and mixed in trivia questions to keep it fun. I liked that there are different levels depending on your age, and that you can continue to unlock features. I'm interested to see how it handles things like rotating art pieces or gallery features, since the directions are pretty specific, including things like "look to your right immediately after walking through the doorway." Overall, it was fun, and I'd definitely use it to mix things up on a visit to the museum." 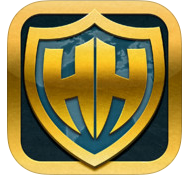 My thoughts: I think that History Hero is like a new way to "geocache" and find virtual treasures. There is a level of excitement to this game and it definitely will be an invaluable tool for children who love to see beyond the real-world and delve into a game that will help them learn and explore at the same time! I think it is well worth the $4.99 price tag. How would you like to win a super prize pack!! One lucky winner will win a $50 Amex Gift Card and another one will win a $10 iTunes gift card! I love giving fun prizes away!! I'd love to use this in New York City! I would like to use the Phiiadelphia and NY app's. We live inbetween so both are daytrip locations. I would love to use it in Philadelphia. I'd like to use it in Paris! I would like to use it in Cleveland, Ohio. I'd use Minneapolis - thank you. I would like Washington D.C. I would like to use the History Hero App in Paris! I'd be curious to see the London version. British history is so interesting, it would be a fun way to learn more about it. I'd like to use it in Washington D.C.
paris! i have yet to go there! Paris Paris Paris Paris Paris! And also? Paris! I would love to use it in Paris! Washington D.C. is the city I would like to use. I've never been there but have always wanted to go. Would love to learn more about it. I don't live in any of the cities either but I'll say Rome. I would love to use it in Paris. I would use it in Washington DC. I'd like to use it in Chicago. Thanks. New York City Is My Choose! I'd like to use it in Chicago. i would use it in washington DC, lots of musuems there, thanks! I would like to use the app in New York. The first city that came to mind was Philadelphia, but I didn't see that one on your review so I'd pick Chicaago! Thanks for the giveaway! Oh I would love to use it in Minneapolis!!! Rome. I would love to go to Rome! I would like to use it in St. Louis!